Lia practices complex corporate and commercial litigation for significant Canadian and global companies, helping her clients navigate their most critical situations. She is a dedicated advocate who is committed to client service, identifying and obtaining practical results that meet her clients’ objectives – whether in court, or out. 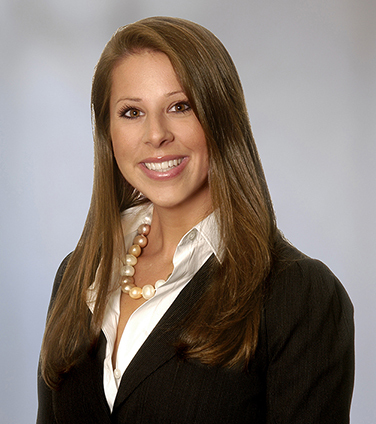 Lia devotes a significant portion of her practice to securities litigation, regulatory investigations, private equity and investment funds disputes, and capital markets regulatory enforcement and broker-dealer disputes. In addition, she also has experience with large-scale class actions, CCAA proceedings, tax and construction disputes. She regularly appears on motions and appeals before Ontario and Federal commercial courts and has appeared before regulatory panels and tribunals. Lia also has extensive alternative dispute resolution experience, having conducted several arbitrations and mediations, and recently completed a year-long trial at the Federal Court. Lia coordinates Osler’s Pro Bono Ontario volunteer program and is a passionate supporter of pro bono initiatives in Ontario. A leading global beauty conglomerate in ongoing oppression proceedings relating to its minority shareholder position in a Canadian beauty manufacturer and retailer. Counsel to the Special Committee of a publicly listed cannabis corporation in respect of alleged insider trading issues. An investment fund and portfolio manager relating to a dispute over the interpretation of an indemnification provision in a share purchase agreement with a private equity firm, which was successfully defended on appeal. Counsel to a Canadian corporation in a transfer pricing appeal to the Tax Court of Canada relating to the international sales structure of the corporate group. A global mining company and a number of its oﬃcers and directors in the successful defence of a proposed securities class action making various claims in respect of the company’s disclosure concerning a speciﬁc mine. Representing a leading hotel chain in respect of ongoing class action proceedings throughout Canada relating to direct marketing fees. Acting for an IIROC Dealer Member in connection with enforcement proceedings related to allegations of inadequate controls and/or supervision before the Investment Industry Regulatory Organization of Canada (IIROC). Counsel to a Crown corporation in ongoing pension class actions dealing with surplus and plan amendments. Acting for a number of Canadian public and private companies in connection with internal investigations, shareholder disputes and oppression proceedings.